The Fourth Money Laundering Directive may have only recently been implemented into national law around the EU, but on 19 April 2018, the European Parliament announced it had adopted the Fifth Anti-Money Laundering Directive. On 19 June 2018 the final text was published. EU members will have 18 months to transpose the Fifth Directive into national law. However, some countries have already done so. Firstly, it is not as extensive as the Fourth Money Laundering Directive. Passed in the UK as the Money Laundering Regulations 2017, this necessitated a wholesale change in how businesses approach money laundering such as introducing the risk based approach and removing automatic exemptions from due diligence. The Fifth Directive is more of a series of amendments to the structure of the Fourth Directive, adding various additional provisions that weren’t included in the text of 4AMLD. The main changes are focused on enhanced powers for direct access to information and increased transparency around beneficial ownership information and trusts. Bitcoin, like other cryptocurrencies, has caused a bit of a problem for money laundering prevention. Some regulators have taken a fearful approach, worried it allows criminals to more easily transfer illicit cash around the world whereas others have welcomed its openness and transparency, particularly the opportunities in banking and finance presented by the new technology of blockchain. Under 5AMLD, virtual currencies such as Bitcoin will have a legal definition. Virtual currency platforms and wallet providers will also become regulated entities under the scope of the directive. While many already conduct due diligence and report suspicious transactions, the Fifth Directive will make it a legal requirement. The Fourth Directive already cut the spending limits on prepaid cards. The Fifth Directive amendments will lower the requirement for customer verification from €250 to €150, and even to €50 for some remote transactions. The use of anonymous prepaid cards issued outside the EU may also be prohibited unless the jurisdiction is considered to have equivalent money laundering legislation to the EU. The Fourth Directive introduced the requirement for Registers of Beneficial Ownership. The Fifth Directive proposes to go further by allowing public access to these records, even without having to demonstrate any kind of ‘legitimate interest’. Trusts will also be required to meet greater transparency obligations, including the beneficial ownership requirements. Where an entity poses a significant money laundering or tax evasion risk, the threshold for identifying beneficial ownership may be reduced from 25% to 10%. The Fifth Directive will require enhanced due diligence when dealing with transactions from high risk countries. As well as obtaining evidence of the source of funds and source of wealth, information on beneficial ownership and background to the intended transaction must also be recorded. 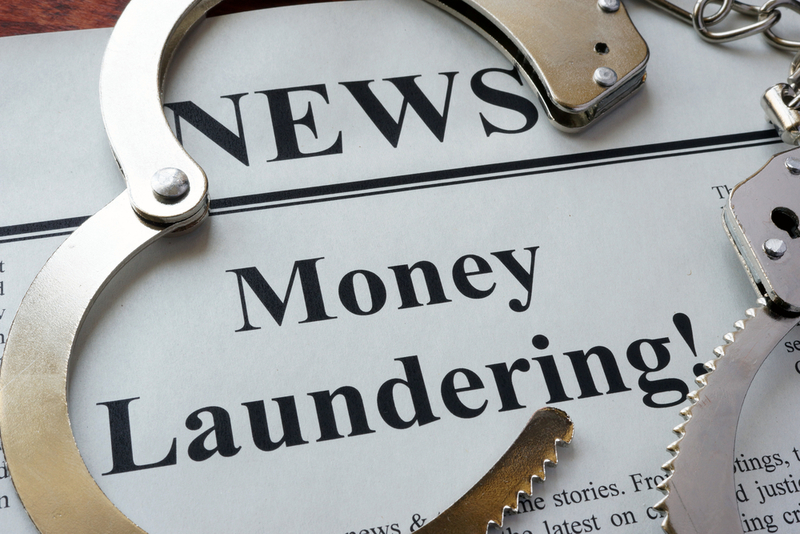 The EU may also designate a ‘blacklist’ of high risk countries for money laundering. The Fifth Money-Laundering Directive also looks set to amend the ‘reliable and independent source’ requirement for verification of customer information to include ‘where available, electronic identification means’. This suggests that not only will the source have to be reliable and independent, it will also have to be electronic. The Fifth Directive has been extended to cover all forms of tax advisory service, lettings agents and art dealers. Access will also be available to members of the public to request information on the real owners of firms operating in the EU, a measure aimed at quashing letterbox companies established solely to launder money and hide wealth. Whistleblowers who report money laundering will have also have increased protection and the right to anonymity. How will this affect training? VinciWorks flagship AML course, AML: Know Your Risk, is focused on the changes brought in to the AML regime by the Fourth Directive. It includes some context about the Fifth Directive and will be automatically updated as soon as the changes go into effect. VinciWorks has created a resource page that contains a host of helpful compliance tools, from course demos, policy templates and articles. We will continue to update the resource page as the changes under the Fifth Money Laundering Directive go into effect. If you would like to know more about VinciWorks’ anti-money laundering training, complete the form below and we will get in touch. This entry was posted in Money laundering news, Thought leadership on 21st January 2019 by VinciWorks.